Now that my hair has grown a bit more, I can try different hairdos I couldn’t do anymore. I don’t know about you, but with the warmer weather, I like to style my hair with romantic, loose braids. This is ideal to have a cleared face, to protect your hair from the sun, and it’s also really convenient to go to the beach. 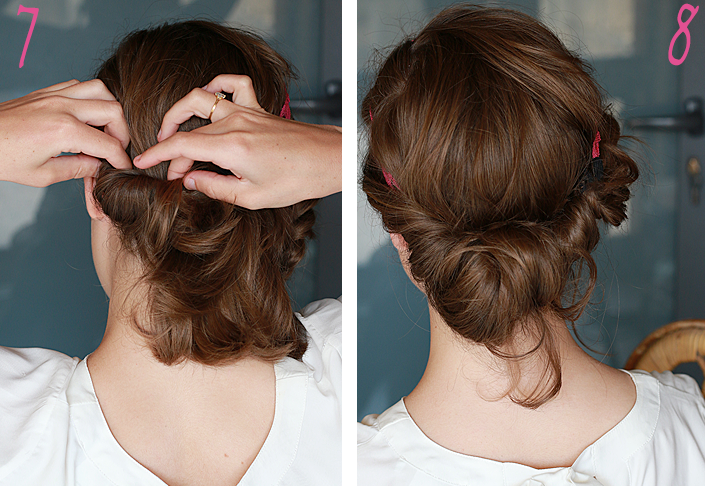 Today, I am showing you how to make a romantic hairdo with a headband. This is an accessory I don’t wear often, but it brings a really nice touch to some hairstyles like this one. I let you discover the tutorial in pictures ! 1. An elastic headband, this one comes from Accessoires Cheveux Chics. 2. A small hair band. 1. 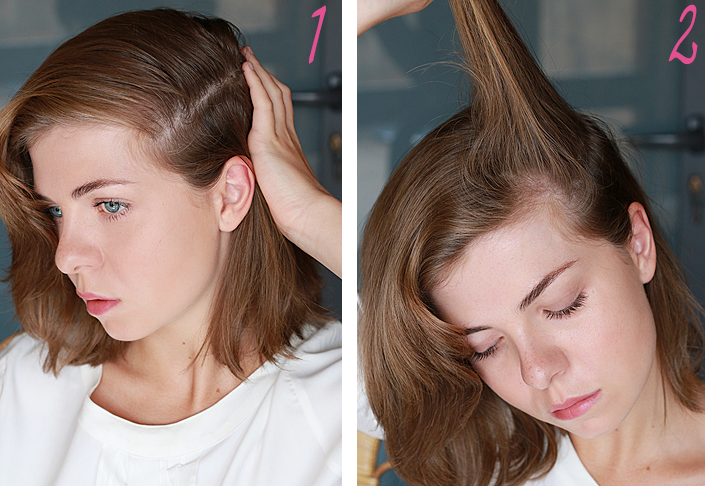 Part your hair on one side, as far as possible, and put all of your hair on the other side. 2. Take a first strand (a thick one) and divide it into 3 equal parts. 3. Start to braid this strand like an ordinary braid. 4. 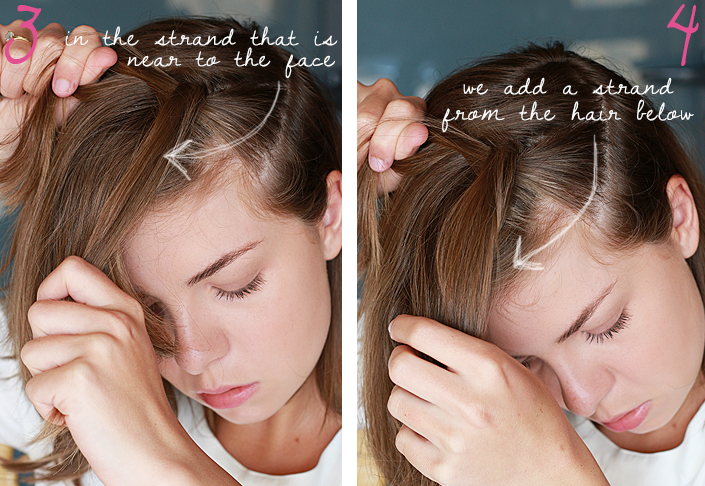 But as soon as you bring one of the three strands near your face, add a strand of the hair situated below in it. 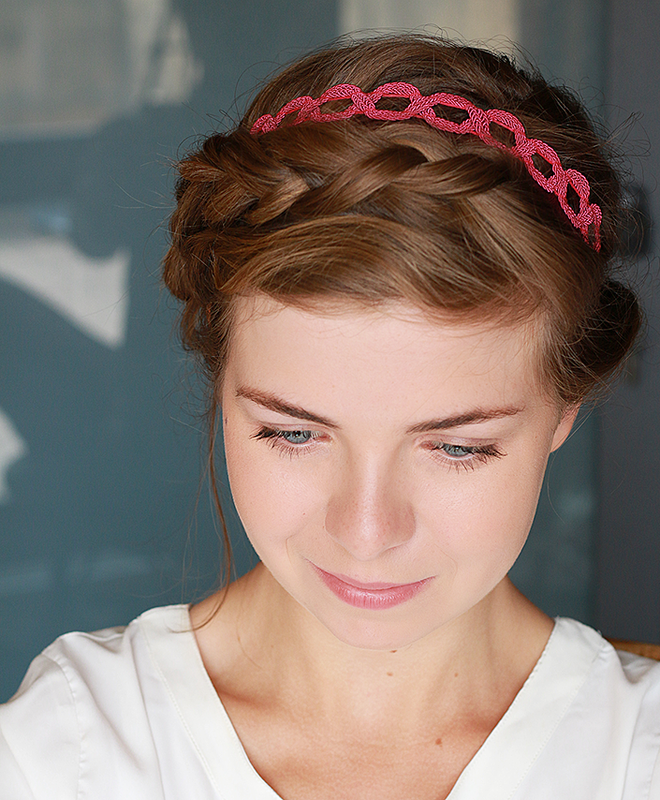 This is the same technic as a dutch crown braid. 5. Go on until the braid arrives behind your ear. 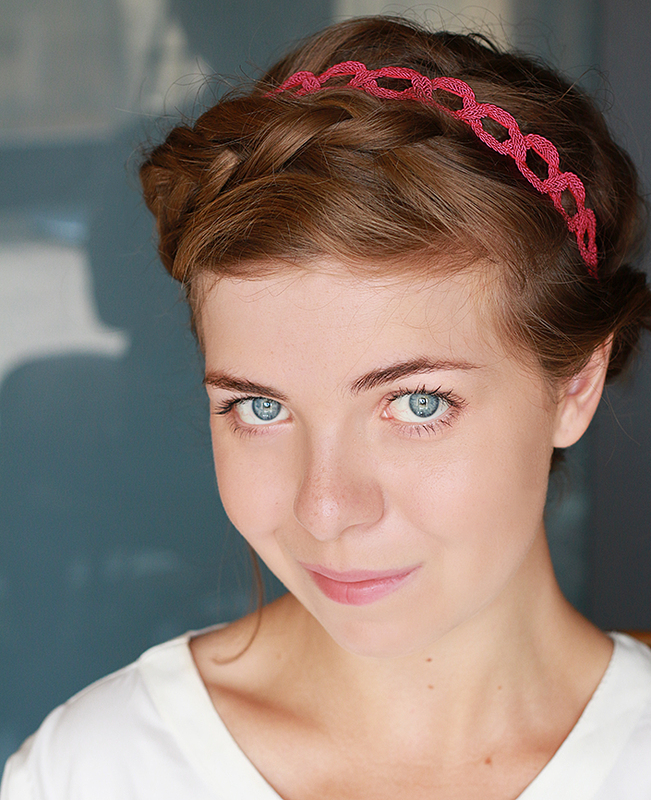 Then, end up the braid like a normal braid (without adding additional strands) and secure it with a small hair band. I intentionally let the strands of my bangs : they are two small and would have stood out of my braid in an unaesthetic way. We will hide them later. 6. 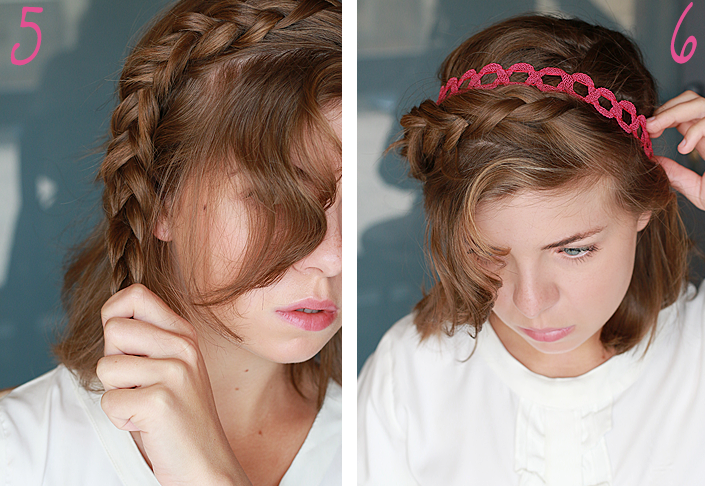 Take your headband and put it on your head, right behing the braid. 7. Roll your hair around the headband. You can use hairpins if your hair is too short. 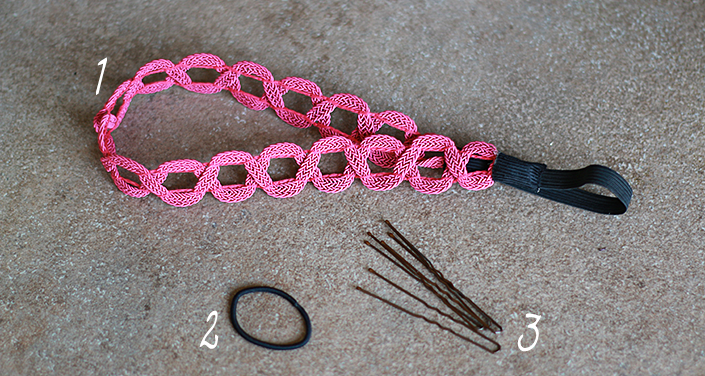 Put the end of the braid in the headband as well and secure it with a pin. 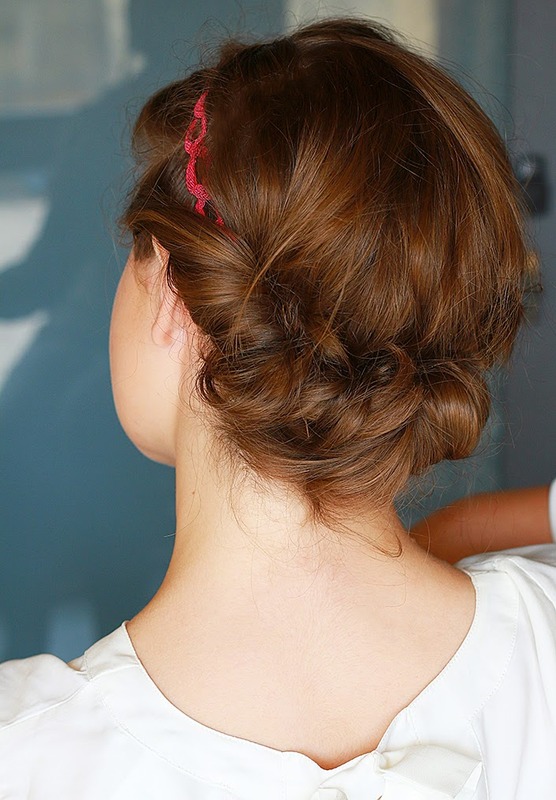 Don’t worry if the result is not perfect, this hairdo is meant to be messy and loose for a romantic finish. 8. If you left the small strands of your bangs out of your braid like I did, you can secure them at the top of your forehead with small bobby pins. Et voilà ! 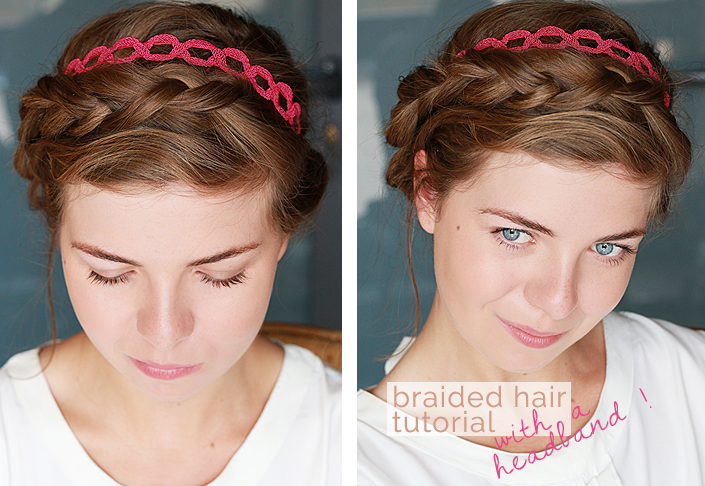 Other alternative : you can braid your hair on both sides and put their ends in the headband.